Why Should You Get an SEO Course or Certification? Why Should You Invest in SEO Training? 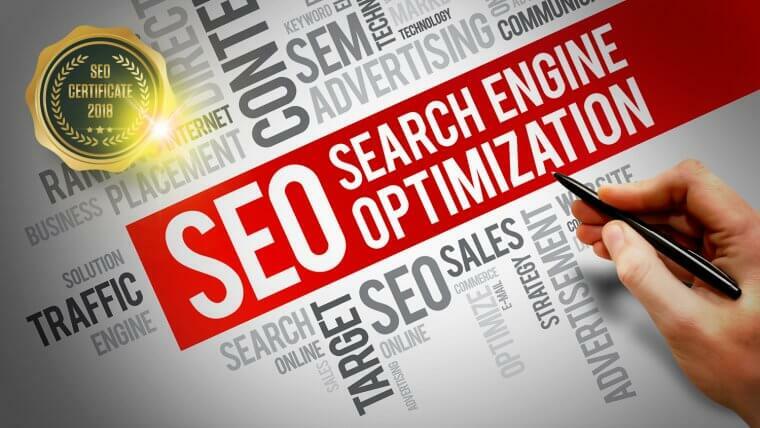 You probably know just how important it is to incorporate a remarkably competent and effective SEO strategy into your affiliate marketing endeavors. By reading some awesome Mobidea Academy articles written about SEO, you’ve been able to understand how to write SEO-friendly content, what SEO steps to take in case you happen to be a webmaster, and many more different aspects that we’ve covered for you to check. But now I’m gonna give you something different. It’s gonna be something that will allow you to expand your knowledge way beyond the borders of your busy brain. Then start reading this amazing article! Search engine optimization (SEO) is basically the practice of increasing both the quality and quantity of traffic going to your website through the organic results of search engines. What do I mean by quality of traffic? It’s about attracting visitors who aren’t random website users. It’s about getting those super specific users who are really interested in the products you have to sell. This comes after the quality part. Let’s imagine you have those quality users. They’re people who clearly love your content or your products. The more humans click the search engine results’ pages, the more traffic. More traffic is always better, bro! But how can you learn about having traffic of a higher quality? How can you learn the basics of SEO and some SEO best practices to make sure you’re all set for greatness? An SEO course is usually a certified program which allows you to study and dive into one or many aspects of SEO. There are some courses which are solely specialized in Off-Page SEO, others which dive into On-Page SEO, others which teach you how to craft the finest keyword research strategy to get more bang for your SEO buck, etc. An SEO certification is usually an additional educational experience you can enjoy after having gone through some SEO courses. SEO certifications usually offer advanced SEO training and help learners become experts in the field of SEO. By efficiently developing their skills so as to improve search engine rankings, increase overall website traffic, or even optimize for specific, targeted keywords. It basically allows you to understand that something is almost instinctive. The ability you need to have to manoeuvre it or play with it lives in you forever after you’ve gone through the process of learning the particular skill. Once you acquire a skill which is “like riding a bike” you won’t have to learn it again. SEO is the exact opposite. SEO is a complex set of methodologies and techniques designed to make sure the content you create is fine-tuned and ready to be judged by the mighty power of Google, humankind’s most unkind judge. Google is always releasing new algorithms, guidelines, and rules. This means that SEO experts such as Aaron Agius or Brian Dean must always change their approach, adapt to new Google guidelines, and basically come up with new SEO rules every single year, so as to make sure SEO doesn’t become some sort of obsolete science. This is where courses and certifications come in. Since they tend to be updated quite regularly, you should understand that you must go through different courses and certifications throughout your whole career. It changes, shifts, and morphs every single day. Because it allows brands to instantly get more visibility to their products or websites, with almost invisible costs, especially when compared to PPC. This is a relevant investment which isn’t a guarantee of success but which is certainly focused on the future and on making sure your product or website is as sharp as possible! Then you must keep your brain fired up and dive into these SEO courses and certifications like a master! Ready to understand what are the best SEO courses and certifications you need to go for? 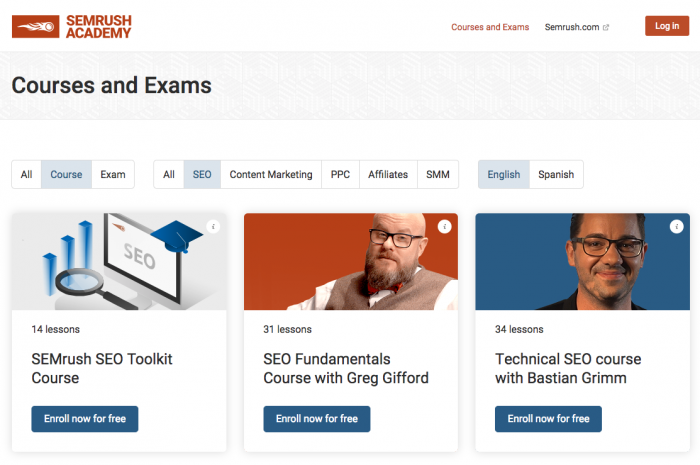 SEMrush – one of the leading providers of tools for SEO specialists has a learning center SEMrush Academy! It offers courses in SEO, SMM, PPC and Content Marketing. Academy has SEO Fundamentals and Technical SEO courses that cover pretty much everything you need to become a SEO PRO. These courses are prepared by the top SEO experts Greg Gifford and Bastian Grimm. 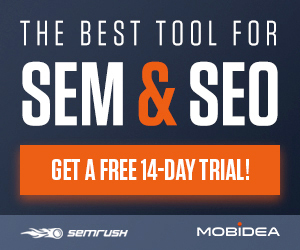 In SEMrush Academy you can also learn how to use SEMrush toolkit for SEO specialists with maximum benefit. The coolest feature is that the courses are constantly updated as SEMrush often introduces new features. All courses are totally FREE! Feel like you wanna learn all the 13 technical SEO factors? Boy are you in the right place! On Udemy, you can experience a great and super complete SEO training for an insanely cheap price. You can learn how to rank #1 on Google Search with WordPress as well as become a master of SEO who’s able to bring much more organic traffic from all the different search engines. There are two obvious requirements, though. Since this isn’t an intro class, you need to know some of the basics of SEO. In order for you to be able to use plugins, you’ll need a WordPress website. It’s got more than 30.000 students as well as over 3.100 positive reviews! The Blueprint Training is a yearly membership for SEO agencies. Membership comes with access to video trainings, SOPs, deliverable templates, proprietary tools and a private Slack group for consulting. The Blueprint focuses heavily on processes for executing SEO at a high level, at scale, across dozens of clients. Built by Ryan Stewart and David Krevitt, the processes covered are the same ones Ryan used to scale his agency (WEBRIS), which was acquired by From The Future in 2018. David is an automation expert – he builds micro tools in the Google Suite to automate tedious SEO tasks. The course covers everything, from new client onboarding (complete with actionable templates and emails) to deep technical SEO audits. Ryan gives you over the shoulder trainings from his own sites and past client campaigns. The Blueprint is build for agencies looking to scale. The content assumes you have a working knowledge of SEO. There are no introductory sections that cover the basics, it dives right into tackling complex problems most small SEO agencies face. Perhaps my favorite part is the membership based course – Ryan and David add new modules monthly based on the inputs from existing students. They also regularly bring in guest presenters to tackle complicated subjects like Schema implementations and Google Analytics. The Blueprint is definitely expensive, but a worthwhile investment for agencies looking to scale their operations to the next level. Feel like Yoast is an amazing WordPress plugin? But did you know that the platform also gives you the chance to go way deep when it comes to SEO mastery? Yoast’s online courses are here to teach you about several different aspects. You have courses for SEO for WordPress, SEO copywriting training, training about site structure, etc. They also have a free course for beginners. Prices vary from course to course. The latter is an all-in-one training which gives you an in-depth look into all things SEO. Investing in this specific module may be the best thing for you. The SEO Playbook is one of the most in-depth and actionable SEO training programs you’ll find anywhere online. Designed for intermediate to advanced SEO practitioners, this course walks students step-by-step through proven processes to increase organic traffic, leads and sales. But, what really sets this course apart from so many others out there is that you get to watch over the shoulder of the course creator, Robbie Richards, as he actually implements the course material on real businesses. You get to watch Robbie build out a technical content audit from start to finish for an affiliate wedding products site, and create a keyword research document and content map for a beard products eCommerce store. All students get access to a private Slack community where they get direct access to Robbie and almost 200 other SEO professionals. 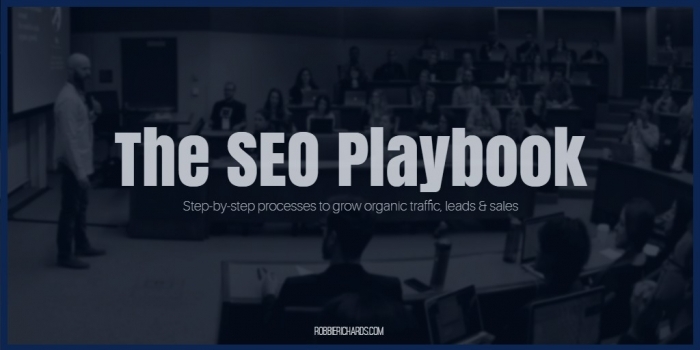 If you’re looking for SEO training that will give you the tools and processes to train employees, outsource SEO tasks, land new clients and/or build valuable skillsets, I highly recommend checking out The SEO Playbook. Moz is one of the best and most reliable sources of SEO knowledge. This is where SEO courses and trainings abound. You can join several classes and learn more about Keyword Research, SEO Site Audits, On-Page SEO, Link Building, Reporting on SEO, and much more. There’s even the chance to go for Customized SEO training. It means you get to build an SEO team and Moz will provide them some awesome customized training. This means you can have multi-day training events delivered via webinar or live at Moz’s headquarters. This will ultimately allow you to build your own in-house SEO team from the feet up! There are several tutorials, trainings and courses. This means the prices vary. You can pay as little as $99 or as much as $595. This is a mini course, for those of you who don’t wanna waste a whole lotta time and just need to get some cool SEO street smarts. In this training, you’ll basically get an email every single day for five days. It’s delivered to your inbox. You read it and you learn. This training is where you get the basics needed to help you succeed in the SEO world. What more could you want from a short training? These guys are just sharing free knowledge and they hope you can use it to improve your SEO game. SEO That Works is not for everyone as it’s not a cheap training. I’d say that you should make some savings to enrol in this SEO master training. Nonetheless, I can assure you that you’ll learn A LOT from Brian’s link building and content strategies. Also, you’ll be able to watch real-life case studies and proven SEO strategies. You should consider taking a look to the next Brian’s SEO training. Brian is one of my favorite players in the SEO industry and he’s doing serious damage on SERPs. Kudos to Brian! You can check the prices here every time Brian launches new trainings. Gotch SEO Academy is an SEO training platform with multiple courses. The most popular course is the White Hat SEO Mastery course. This course shows businesses how to execute a content-centric, White Hat SEO strategy. It starts with “The Foundation”, which covers technical optimization and UX optimization. Then, the following module shows you how to find keywords, qualify keywords, and then how to create content around each qualified keyword. The third module is dedicated to link acquisition and content promotion. Lastly, module four shows you advanced tactics you can use to amplify your organic search traffic growth. 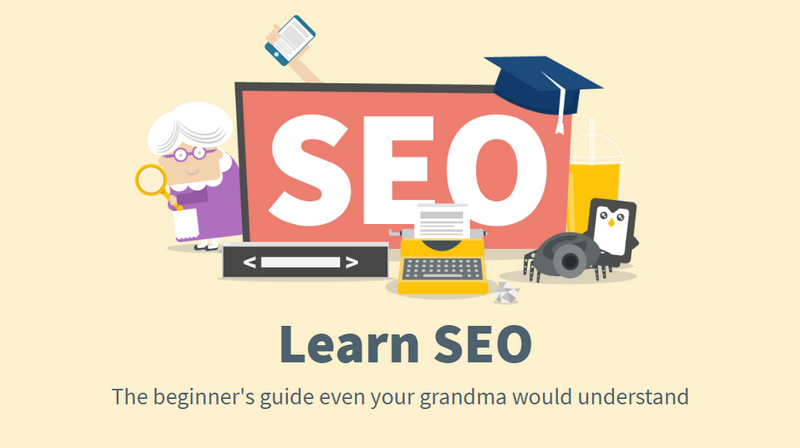 Now here’s a course for SEO that’s worth your time! I’m talking about quite the premium community. Traffic Think Tank allows you to gain access to a whole lot of process content, videos, templates, awesome webinars, and some cool free tools that you won’t be able to grab elsewhere. You’ll also be able to get access to Nick Eubanks, Matt Barby, and Ian Howells. These are true SEO masters! These fellows have gotten hundreds of billions of website visitors through the magical art of SEO. This course allows you to learn from SEOs who actually perform the work on a daily basis. You can skip the balderdash and get the real juicy facts given to you by people who live and breathe data and take action! With more than 133 hours of advanced HD video content and hyper interactive modules, this program allows you to learn at your own pace. You can either try the Demo Version and explore only 3 modules or go all in for the full account. This course is all about teaching you some of those core SEO skills. You can start with the “Search Engine Basics” module and go from step to step until you reach the last module. This path will allow you to learn about On-Page Optimization, technical SEO, keyword research, information architecture, competitor research, link analysis, etc. It’s free but you’re only gonna have access to 3 modules. For $40 a month (or $33, if you go for the annual plan), you’ll get 86 hours of lessons and tests in 28 amazing modules. For this full price, you’ll also get to use your DistilledU profile to share test scores and badges as well as 133 hours of mighty advanced content. Need a hot discount coupon? With Mobidea Academy’s Exclusive 25% Discount, you can get to pay only 30$ per month! This free SEO guide for beginners is great when you plan to start with search engine optimization but you don’t know how it works, what are the basic terms and what tasks you have to do in order to improve your organic positions. The guide is divided into 9 chapters which deal with the most important topics one by one including keyword research, on-page and technical SEO, link building and much more. There are several real use cases, infographics and downloadable PDF checklists so you will get a nice overview of how SEO works and what techniques to use. You can do a test to earn a certificate or be inspired by tens of additional SEO resources and related specific SEO techniques to improve your knowledge. It’s a free guide which includes the test, certificate and PDFs. The Online Marketing Institute is a super reliable source of fundamental SEO education. In association with leading research, this institute managed to develop an advanced SEO training and site optimization. It was created mainly for internet and marketing professionals who want to increase their organic reach, get relevant traffic, and quality scores. For $27 per month, you’ll get unlimited access to all video classes as well as new trending courses on a monthly basis. For 97$ a month, you’ll get all that you got above plus 5 pro plan subscriptions! 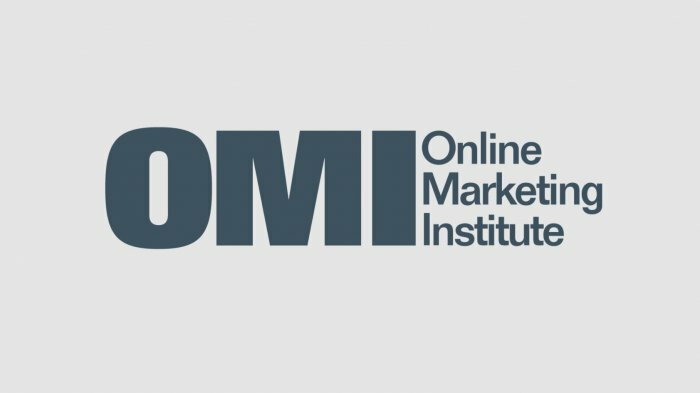 You’ll have to decide upon a custom price with the Online Marketing Institute. This SEO certification is one of the best in the world. It allows you to understand how to create a marketing persona, get an overview of the marketing funnel, understand some search fundamentals, get a comprehensive outline of searcher intent, hone keyword research, etc. It’s got everything you’ll need to succeed. The program is also pretty upfront with you. They tell you that the best SEOs don’t usually have a certification. However, ClickMinded’s aim is to provide regular people who have a passion for SEO with the tools and resources they need to really hone the craft and improve their performance in whichever areas they’re exploring. 60% of the people who do try to get this certification fail at the first try, which means this ain’t no stroll in the park. Then demand the best from yourself and check ClickMinded’s SEO certification! You get Search Fundamentals, which is pretty cool. You not only get search fundamentals, but also access to the sales funnel, customer avatars, search framework, reputation management, on-page optimization, link building and authority, social media SEO, Google Analytics training, Schema Markup basics, Mobile SEO, etc. You’ll also get free access and free updates forever. Is this the best module? You need to contact ClickMinded and work out a plan with them. This is the perfect option if you are a company and want to offer this specialization to 100 employees. Wanna take your SEO skills to a whole new level? This is the place to be, then! You’ll get an intro to SEO, get to know which are the on-page best practices, get to understand competitive analysis and keyword research, the basics of design and architecture, etc. This really is one of the best online SEO trainings out there. It allows you to develop your skills to become an SEO expert, improve your search engine rankings, increase that sweet web traffic and optimize those saucy targeted keywords everybody’s watching out for. Once you complete this extensive training and go through the examination, you’ll become certified. For 180 days of full access, updated content, awesome quizzes, downloadable workbooks, and more than 25 hours of SEO learning? It’s an awesome source of knowledge for about a million different topics. But can these fellows help us out when it comes to SEO? This SEO specialization was created by UC Davis. It basically allows you to optimize website content to make sure you reach the best search engine ranking possible. You’ll learn everything about Google Search as well as other search engine algorithms. Some of these courses will last 4 weeks, for 1-3 hours a week. Some others will last 6 weeks and demand more study time. That you are able to take max advantage of the chance to take a course online from a highly-reputable American university to increase your SEO skills. The main thing you have to understand? That this is an incredible opportunity for you to take advantage of online resources from a super reputable source. Take the time, study hard, get the certificates, and become SEO’s main master. On Lynda, you can get access to more than 30 different courses that will teach you everything you need to know about the wondrous world of SEO. Keyword Research Strategy, Advanced SEO, SEO Videos, Local SEO, Link Building, or even how to market your apps by following SEO best practices. Lynda.com is the place for you to find the best SEO course and explore a whole lotta different SEO-related topics. 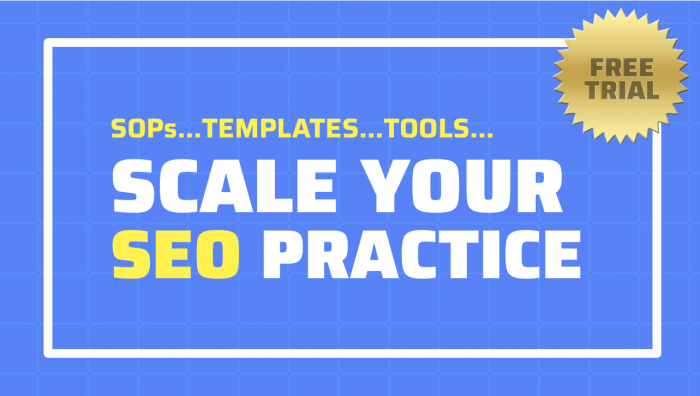 There are also more than 1300 video tutorials you can watch to gain more SEO insights. For €14.95 a month, you can get unlimited learning from all Lynda’s 6,189 courses (which obviously includes the SEO courses), you can get to watch on your tablet, TV, phone or computer, and evaluate your progress with quizzes. For €24.95 per month, you’ll gain access to all the things you could enjoy in the Basic module but you’ll also get project files to practice and the chance of offline viewing to learn whenever, wherever. That’s it for my list of the best SEO courses and certifications to try. As you’ve been able to understand, these are different resources which have different costs. My goal was to give you a plethora of websites and credible sources of knowledge for you to go from SEO newbie to master at your own pace. Read more about each of these online courses and certifications, get your SEO education, and rule the online seas!